All external hyperlinks that are in this site, are hosted on the internet itself, and the texts here only indicate that content provided by a third party that hyperlink in question refers. We have no responsibility for linked here files found in third-party sites. Any file protected by some kind of law is the responsibility of such sites. Thus, webmasters and anyone else who has relationship with the production of this site does not have responsibility and control on files located on other servers. The request for removal of such content must be made directly with the sites responsible for their distribution. However we are in accordance with the DMCA (Digital Millennium Copyright Act, the Copyright Law Digital Millennium) (17 U.S.C. Section 512 et seq.). 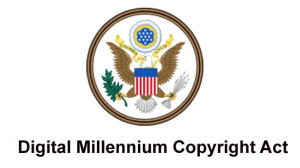 It is our policy to answer any violation notices and take appropriate action under the Digital Millennium Copyright Act (“DMCA”) and other intellectual property laws. If your copyrighted material has allegedly hyperlinks listed on our site, and you want the removal of these hyperlinks, you must provide a written statement detailing the information about such material. And case represents the interests of the owner, please also send us the same authorization via email.